When people think of a chef, they assume the job starts and ends in the kitchen. For Chef Paul Larson, that is not the case. Paul’s passion for food started long before the kitchen – for him it all started on his family’s garden at the young age of ten. Growing up on the East Coast, Paul spent every summer on his family’s garden learning to tend to the produce and became fascinated with creating fruitful, natural ingredients on his own. Eventually taking the produce into the kitchen and seeing the benefits of cooking fresh food led Paul to his enthusiasm for cooking. 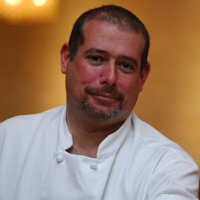 A graduate of the Culinary Institute of America, Paul has over 25 years of experience in the hospitality industry and has worked at prestigious establishments such as Le Plaza Hotel in Switzerland, Bally’s Hotel and Casino, Las Vegas, Park Hyatt Hotel and Four Seasons Hotels in Chicago, The Hudson Club, Winnetka Grill, and The Art Institute of Chicago. Landing at Blue Plate Catering in Chicago in 2008 as Executive Chef, Paul leads 65 cooks, 9 sous chefs, and 65 field chefs every day while managing all daily kitchen operations. He is also in charge of executing new menu development and keeping Blue Plate abreast of culinary trends to ensure their place among the top food solutions companies in Chicago.